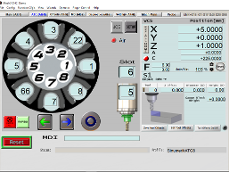 The Sinumerik ATC screen-set Is my latest update with several new features to make the screen more user friendly. Complete for 3 different sizes a 8, 10 , and 12 position Tool changer. What Makes My Screen set unique is the ability to place any tool up to 99 in any slot so your not limited to only using numbers 1-12 and updating your tool Table with each run. 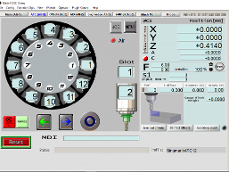 Manually load the Carousel or perform a tool change by selecting the slot number. 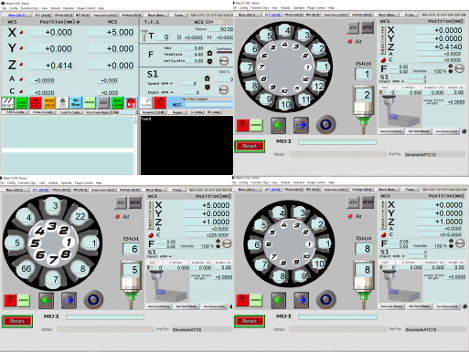 The GUI Features visual and dynamic indications for the slide, PDB, and position. 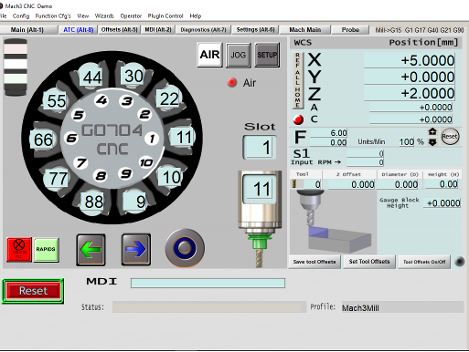 The GUI has simple buttons to Extended or retract the slide anda 3 second delay built in to the PDB button to insert or release tools Manually. Click on the Screen above to see it in action! Looking for a custom screen-set with a logo or Graphic? Custom screens and or Buttons?